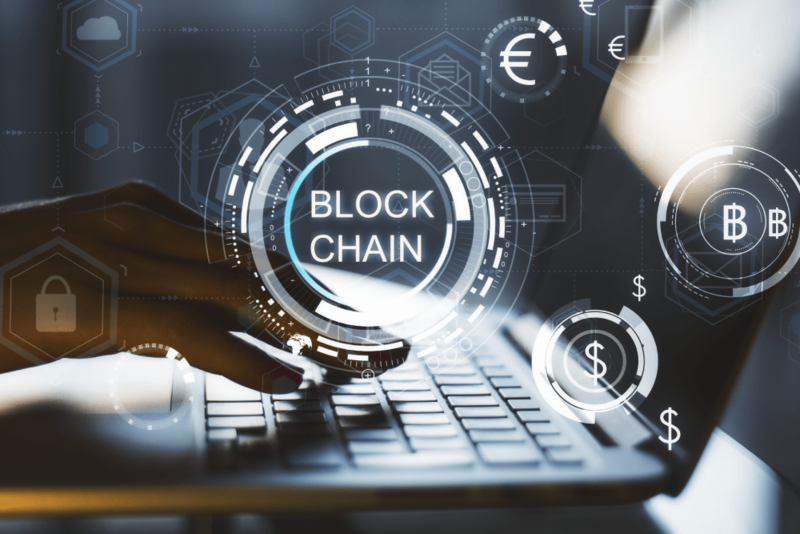 Blockchain travelled a rocky road in 2018 but is still hotly tipped as a technology with huge potential for transforming business and day-to-day life. The past year saw huge drops in value for its flagship use case – cryptocurrency Bitcoin – and reports that many pilot programmes are failing to show true value. However, many big players including IBM and Walmart are continuing to push ahead, confident it can provide real value for organisations in need of innovative solutions around record keeping and secure recording of transactions. So, here are my five predictions for how we’re likely to see blockchain use growing and continuing to make headlines – although they may be slightly less hyperbolic – in 2019. Any new technology has the potential to attract snake-oil salesman, and perhaps blockchain attracted more than most. This meant that 2018 saw regulators stepping in, meaning that those offering “miracle solutions” and get-rich-quick schemes built (or not built) on blockchain should be far less visible in the next 12 months. What we should see instead is results of more considered, mature endeavours in the blockchain arena. Businesses such as Walmart that is investing in solutions designed to shore up food safety standards in the wake of crises such as 2018's E. Coli outbreak. Walmart's solution means anyone involved in the supply of certain products will be able to trace individual items back to the farm where they were grown, using a tamper-proof distributed database. Amazon is also announcing blockchain projects for this year – with two blockchain initiatives aiming to enable its AWS customers to take advantage of distributed ledger technology in their own projects. With big players like those two (and others) entering the game, it seems certain that blockchain will start to demonstrate that it can bring real value during 2019. According to one report, the use of blockchain technology to secure data and devices in the internet of things (IoT) doubled during 2018. This trend is likely to continue next year and beyond, as more organisations wake up to the potential of distributed, encrypted ledger technology in this field. The powerful encryption used to secure blockchains means that attackers need a vast amount of computing power to brute-force their way into just one node. Additionally, their decentralised nature means attackers can't bypass security by disabling a single-point-of-failure with, for example, a denial-of-service attack. As well as security, blockchain offers utility benefits in the IoT field, too. With the number of connected devices predicted to top 26 billion during 2019, vast amounts of machine-to-machine communication will be taking place, at far too high a speed for humans to keep up manually. Experts predict that blockchains will increasingly be used to log and monitor these communications and transactions, and although this convergence is at a very early stage, 2019 will see an explosion in its use. Cryptocurrency values may have taken a hammering during 2018, due in no small part to a bursting of the speculative bubble built up around the arrival of such potentially transformative technology. But the mainstream financial services industry was undoubtedly shaken by the emergence of this tech and the potential it has to disrupt their businesses. So much so that it seems likely they will be at the forefront of the next wave, when it comes crashing in. One example is Bakkt, the Bitcoin-based futures trading platform planned by ICE, the operator the New York Stock Exchange. In developing markets particularly, where much of the population is labelled "unbankable” due to institutions’ inability or unwillingness to connect them to its services, start-ups are likely to lead the way with innovative services built around blockchains and digital, fraud-resistant currencies, storage, and transfer mechanisms. Not just in quirky, unknown cryptocurrencies with unproven use cases – blockchain technology makes it possible to offer and track investments in a whole range of asset classes that traditionally have been the preserve of institutional investors and the wealthy. For example, tokenization lowers the bar to entry for investment in property, potentially allowing more liquid trading of high-value assets and allowing more of us a slice of the pie of the growth (or losses) they can generate. Regulation will be needed before these investment opportunities will be considered safe enough for everyday investors to take part, and as we’ve seen over the last year, this certainly seems to be on its way. Art, fine wines and property are all examples of investment assets that traditionally were only an option for well-off investors with the luxury of being able to put capital in up-front and be in no hurry for their investment to pay off. With regulation in place, everyday investors can purchase digitally-backed “shares” in these asset classes and sell them off when they need to liquidate their funds. Additionally, blockchain-based “smart contracts" Vare designed to reduce the reliance on middlemen such as brokers and lawyers when establishing these transactions, further lowering the costs and barriers to entry. I’m not going to be stupid or irresponsible enough to predict that the value of cryptocurrencies is going to shoot into the stratosphere (again) in 2019. As I’ve said before, speculating on the value of these digital assets isn’t my business, and if the tumultuous volatility of recent years proves anything, it’s that no one can accurately predict what will happen next. One thing that is clear, though, is that cryptocurrencies are far from dead. Using the Bitcoin price as a benchmark, prices are still some ten times higher than they were two years ago, and trading volumes on exchanges show there is still a healthy appetite for speculative investment. And that’s before we even start to consider the possible future of alternative cryptocurrencies such as Ethereum, Ripple and Tether, that all promise to improve on Bitcoin in some way – offering more utility, security or speed. During 2019, we may not see a return to the highs of 2017, when the value of crypto assets in circulation worldwide came close to three-quarters of a trillion dollars. But we could see a continuation of the period of relative stability that we saw during 2018. And as the public’s understanding of what cryptocurrencies offer (beyond get-rich-quick schemes) grows, the foundations of a more useful and valuable crypto ecosystem beginning to emerge.